Jessica Miller Dressage - Website of jessicamillerdressage! Jessica is a USDF Bronze, Silver and Gold Medalist. As a trainer she prioritizes the safety and well-being of horse and rider while using her years of riding experience, theoretical knowledge and enthusiastic talent for teaching to inspire, encourage and mentor her students. 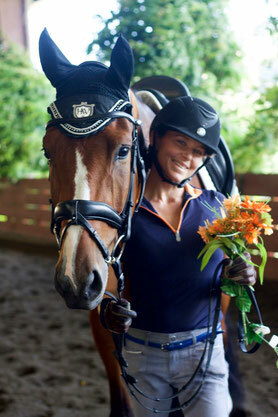 "I believe that my job as a trainer and instructor is to help create a successful partnership between horse and rider. Success to me is the improvement of the student's riding which leads to a happier horse and rider team. This joy is present in both horse and human when the work is patient, progressive, kind and correct." 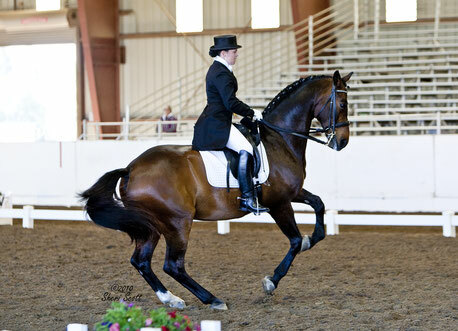 It is important to create a customized training program based on the rider's personal goals and aspirations combined with the capabilities of the horse. Whether you aspire to compete or just want to improve the quality of your riding and the training of your horse. I encourage a goal-oriented training program to enable the rider to achieve their objectives in a clear, progressive and positive atmosphere with a focus on developing healthy, happy horses and riders. Jessica has started young horses, excelled with difficult horses and believes that patience, clarity and praise are the key elements of successful horse training. Together we will design a program that will help you meet your riding goals.